Height 5 feet 10 inches. Weight 164 lbs. Chest measurement 33-38 inches. Complexion dark. Eyes brown. Hair black. Sight - both eyes 6/6. Hearing good. Colour vision correct. Limbs well formed. Full and perfect movement of all joints. Chest well formed. Heart and lungs normal. Illnesses. free from hernia, varicocele, varicose veins, haemorrhoids, inveterate or contagious skin disease. Vaccinated. Good bodily and mental health. No slight defects. No fits. Never off work through sickness or accident. Had appendicitis 14 years ago; never been troubled since. On 15 August 1917 he was wounded in action with gun shot wounds to his arms (shell fragments) and admitted to No.2 NZ Field Ambulance. 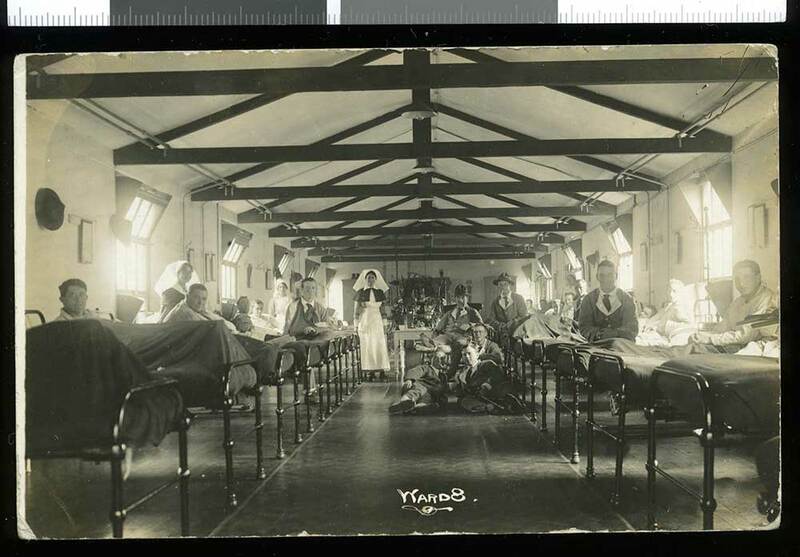 After passing through other medical stations he was transferred back to England, where he was eventually admitted to the No.1 NZ General Hospital at Brockenhurst on 30 August. There he was declared unfit by the medical board. He subsequently embarked for New Zealand on the "Marama" on 21 November 1917. Harold George Traves, born on 27 March 1895 at St Andrews, was the elder son of English born William and Sarah Elizabeth (Elizabeth née Roberts) Traves. He attended St Andrews School, leaving at 12½ years to drive a six-horse team for his father. His father, the water race ranger for the Lower Pareora Water Supply District and also a member of the St Andrews Mounted Rifles, died suddenly of heart failure in November 1915. While still a youngster, Harold had the good fortune to win one of four 2nd prizes of 5 shillings in a competition run by Bowie’s Store. 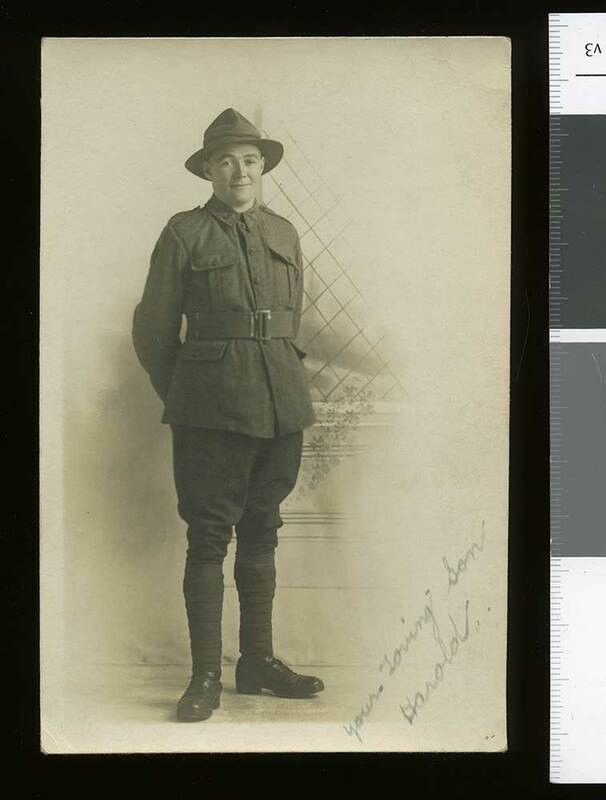 When Harold enlisted at Temuka in June 1916 at the age of 21, he was working as a ploughman for the Orr brothers at Waitohi, Temuka. It was from Temuka that he left for service. He was in good physical condition, standing at 5 feet 10 inches tall and having suffered no ill effects from appendicitis some 14 years earlier. 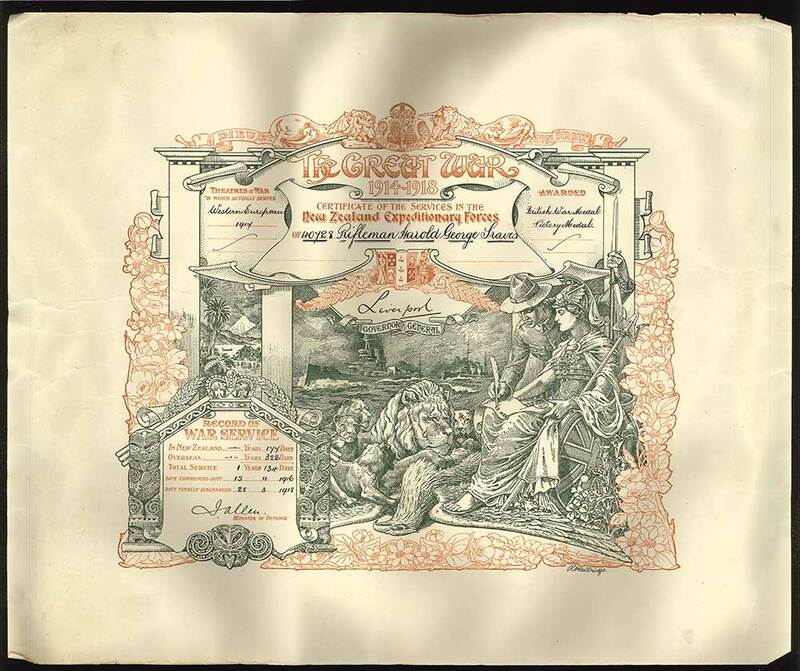 Harold was still serving with the 2nd South Canterbury Regiment. 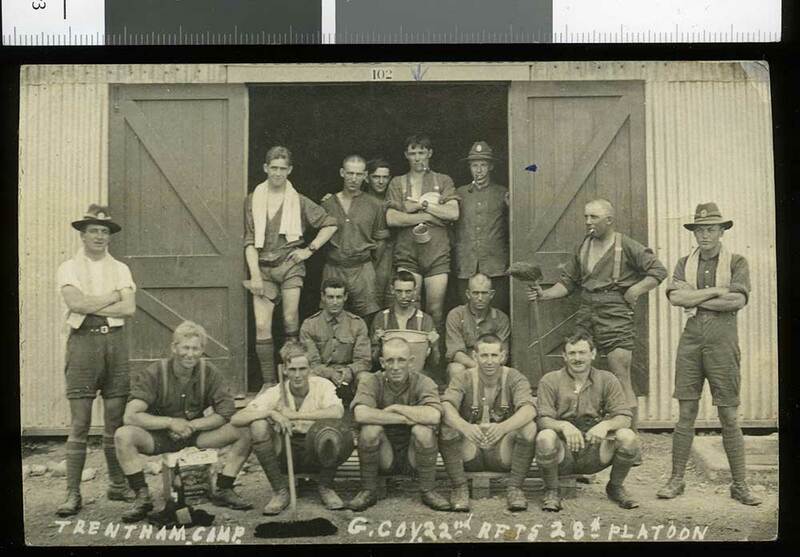 Embarking with the New Zealand Rifle Brigade on 13 February 1917 for Plymouth, England, per the “Mokoia”, he then joined his battalion at Rouen on 8 August. He had seen only short service in France and all too soon his name appeared in casualty lists. 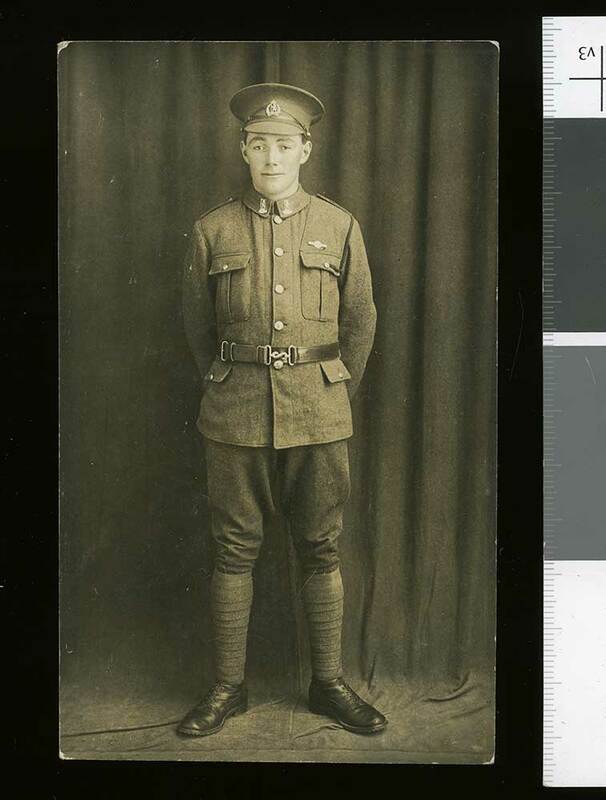 On 13 August 1917 he was wounded in action, suffering gunshot wounds to both arms (shell fragments) and was admitted to No.2 New Zealand Field Ambulance. From there he was transported to England, where he was admitted to Walton-on-Thames Hospital on 20 August and then transferred to the No.1 New Zealand General Hospital at Brockenhurst on 26 August, listed as a severe case. The large lacerated wounds were septic and had to be excised and sutured under ether. No fractures were found but there was a loss of movement and wasting of muscles in the left arm particularly, and some nerve damage. A cigarette case in his pocket had protected him from further, probably fatal, harm. 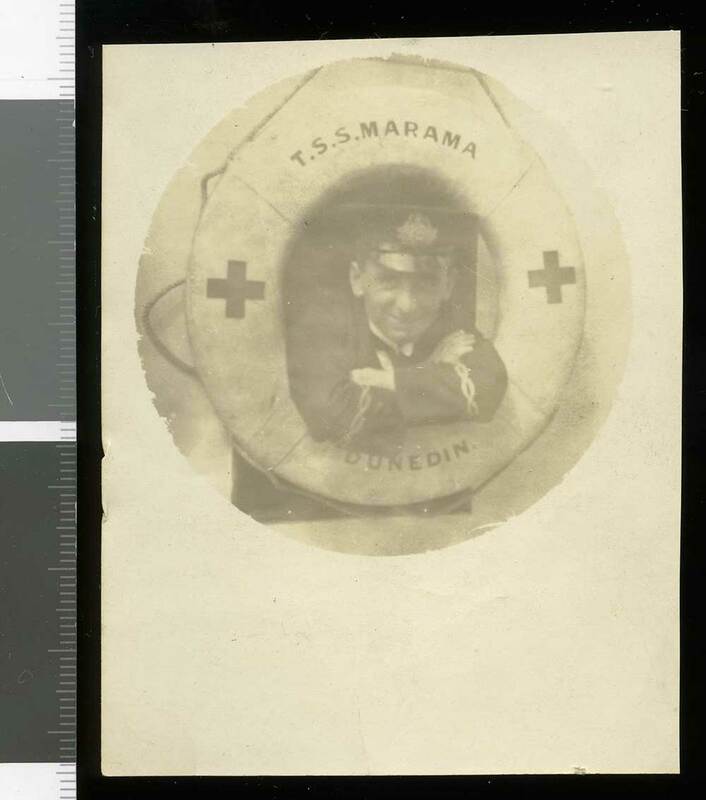 Although reported as improving and transferred to the Convalescent Home at Hornchurch on 5 November, he was declared unfit by the medical board and subsequently left for the return to New Zealand on 21 November 1917 on the hospital ship “Marama”. Harold Traves' son, William (Bill) Traves, and Harold's obituary recount more details about the circumstances of his wounding. Harold was severely wounded by a shell-burst, that also killed a trench-mate, after being on the front for only two days. The shrapnel tore across Harold's chest and through both arms. Then, while being evacuated, he again came under fire and the stretcher bearers carrying him dropped him. 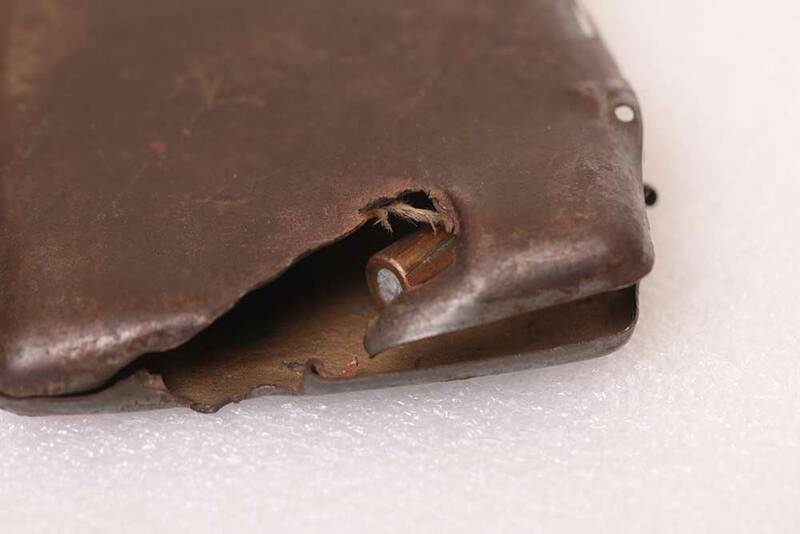 Sometime during this ordeal a cigarette case that he was carrying in his pocket, that he had earlier swapped for some Woodbines, also stopped a bullet. The wounds rendered Harold unfit for service and he required further convalescence in Hanmer upon his return to New Zealand. 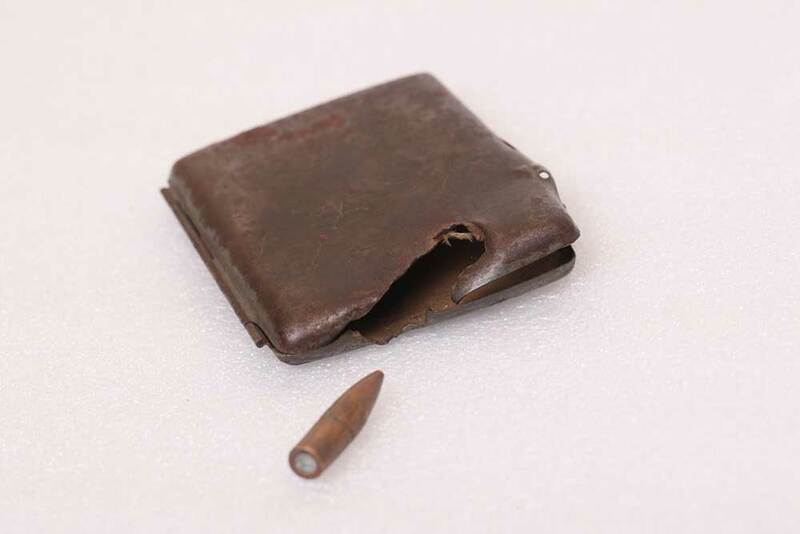 His son, Bill, (93 in 2014) still treasures the bullet and case as a memento of his father's war service. Harold George Traves was one of several returned invalided soldiers who reached Timaru by the express on 31 December 1917. At the station they were met by members of the Borough Council, the Citizens’ Reception Committee, and a good number of the general public. 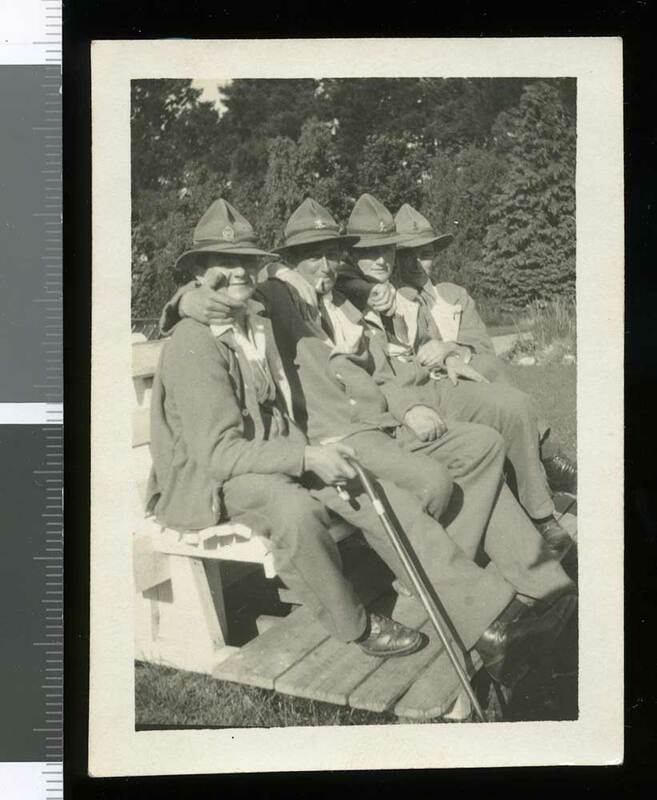 Before they were driven to their homes in motor cars, Councillor H. Green extended to them a very hearty welcome home, and expressed the hope that the invalided men, who had done so well for their country, would soon be restored to their pre-war health. Most of the men were looking very well, having benefitted from the long sea voyage. 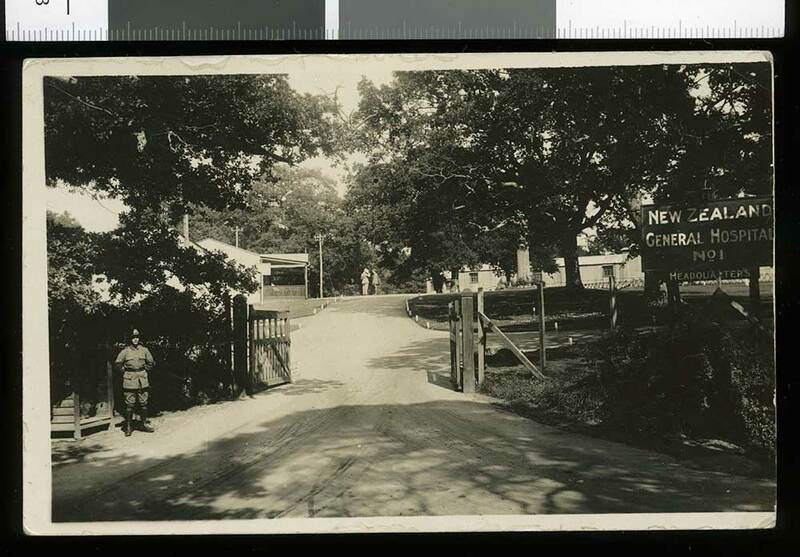 Once home Mr Traves was granted a period of sick-leave and authorised to receive treatment at Hanmer Convalescent Home. No longer fit for war service on account of his wounds, he was discharged in March 1918. 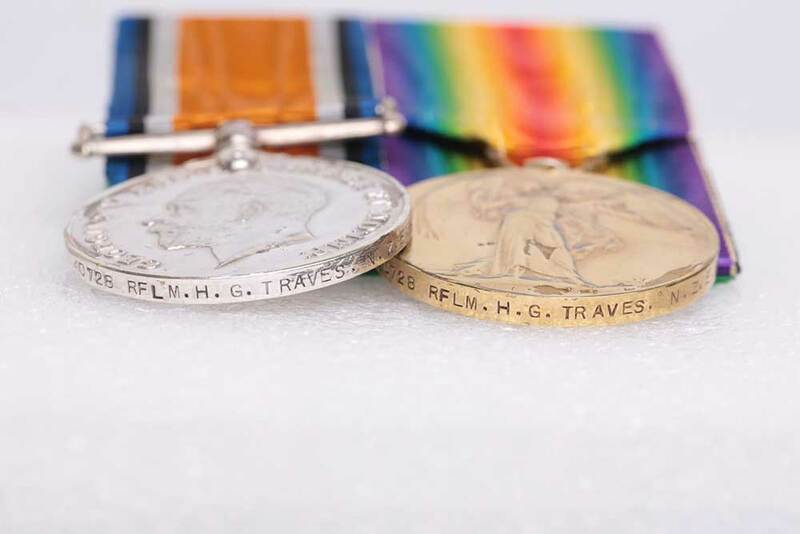 For his efforts he was awarded the British War Medal and the Victory Medal. On 4 June 1919 at Christchurch, Harold married Mary McCullough, of Fairlie. After the war Mr Traves turned to droving which resulted in many days, weeks, even months, away from home at any one time, becoming very familiar with the South Canterbury countryside by day and by night, as for 30 years he moved stock over long distances. He and his wife lived on a small holding at Levels before retiring to Timaru. He was known to enjoy a day at the races and a game of cards. 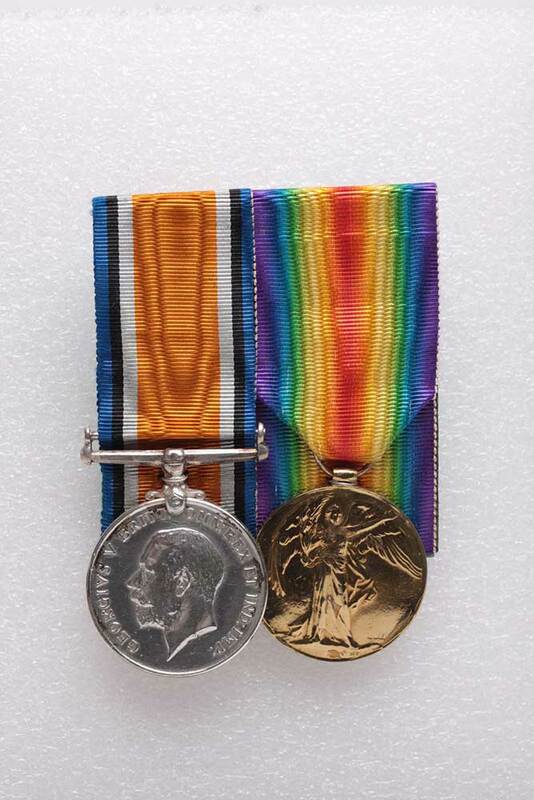 In early November 1919 Harold was one of 45 returned soldiers who were presented with gold medals at one of the most memorable gatherings ever held at Waitohi. The schoolroom was beautifully decorated and an enjoyable concert programme (singers, instrumentalists, monologists) was arranged by the organisers, the Waitohi Flat Presentation and Memorial Committee. After thanks and welcome home addresses, the returned soldiers, in the front seats, were presented with their medals. 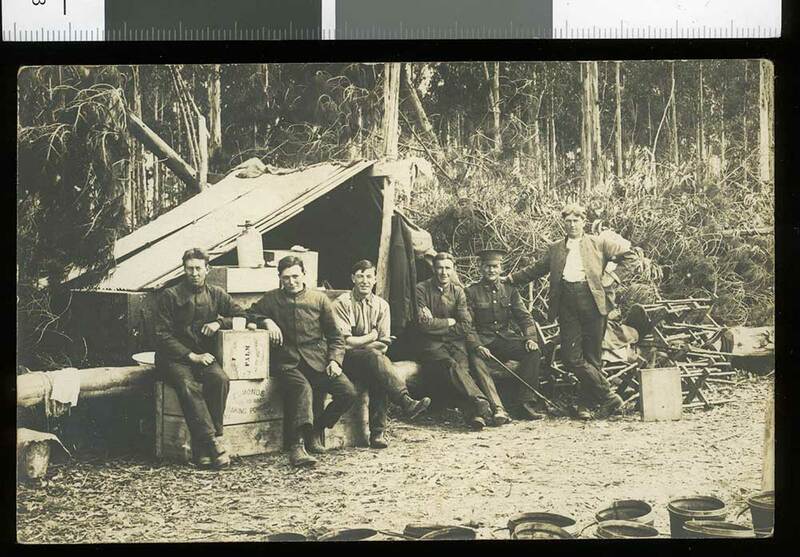 All joined in singing “Soldiers of the King” and “For they are jolly good fellows” before a representative of the men thanked the committee and the public for their kindness and the mementoes of the war, and the Waitohi ladies for the much-valued parcels sent to the front. The evening concluded with an excellent supper and dancing. Harold died on 8 June 1977 at Timaru, aged 82 years, and is buried with Mary, who had died almost two years before, in the Timaru Cemetery. He was survived by his only son, who gave service in the Second World War, and grandchildren.